Reports that keep you in the know. 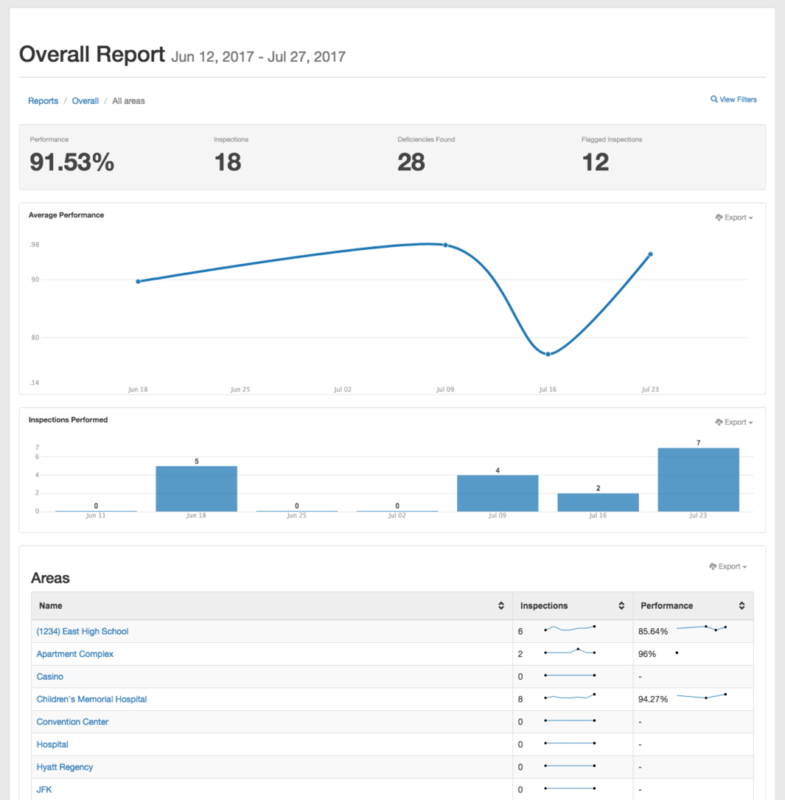 Our reports reveal your business’ strengths (so you can brag about them) and weaknesses (so you can fix them). If a certain line item keeps failing inspection, you can make sure the problem is fixed—before the client has to ask. Who on your team needs more training—and who deserves that promotion? The numbers don’t lie. 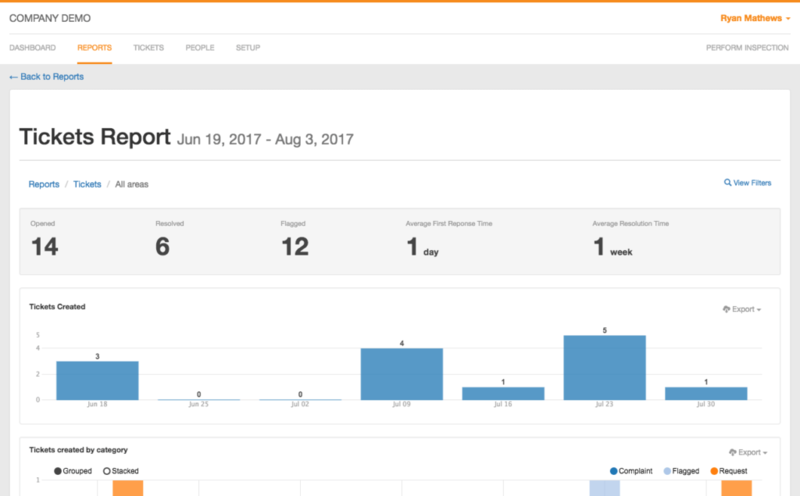 You’ll have more insight into your team’s performance than ever before, including inspection scores over time, average response time to issues, and how long it takes things to get fixed. We have the most powerful forms in the industry, with completely customizable line items and ratings. Photos and notes let your your team knows exactly which issues need to be fixed. Everything updates in real time, so everyone’s on the same page. The best part: inspections get done fast. We know that when we go to sit down with anyone, we will be the most informed people at the table because of OrangeQC. 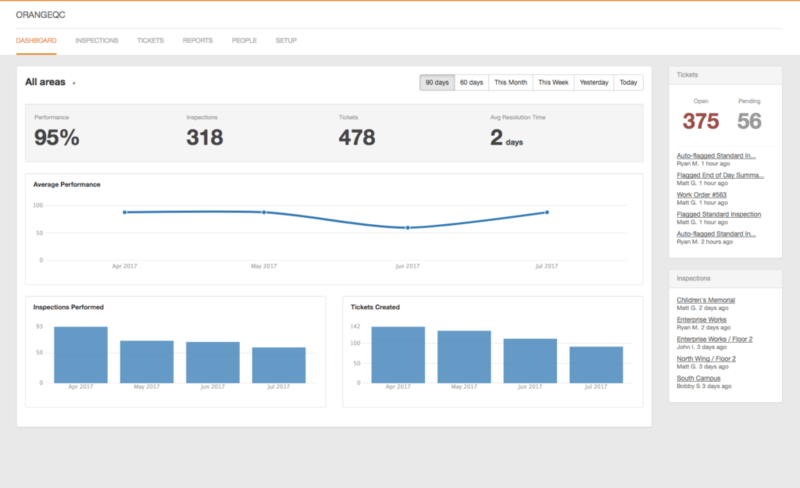 When you sit down with potential clients and can talk about average response times and quality control analytics off the cuff, they’ll be impressed. So will your existing clients when you send them custom reports detailing how quality control is working at their buildings. We generate everything for you, so you can always keep an eye on quality.